The deal includes providing VICT with Kalmar’s advanced automated solution and services including 20 automated stacking cranes and 11 AutoShuttles. Renowned cargo-handling solution and service provider, Kalmar Global has recently signed a maintenance and support agreement with International Container Terminal Services, Inc. (ICTSI), offering automated container handling solution at the Victoria International Container Terminal (VICT) in Melbourne, Australia. Sources close to the deal cite that the maintenance and support agreement has been designed cover all aspects of the OneTerminal automated solution, which includes Navis N4 TOS (Terminal Operating System), 11 Kalmar AutoShuttles and 20 Kalmar automated stacking cranes. The Kalmar TLS (Terminal Logistics System) conducts routing and implementation for automated operations based on the orders from Navis N4 TOS. TLS is also connected through an open Kalmar Key interface to 5 automated neo-Panamax STS (ship-to-shore) cranes, claim reports. 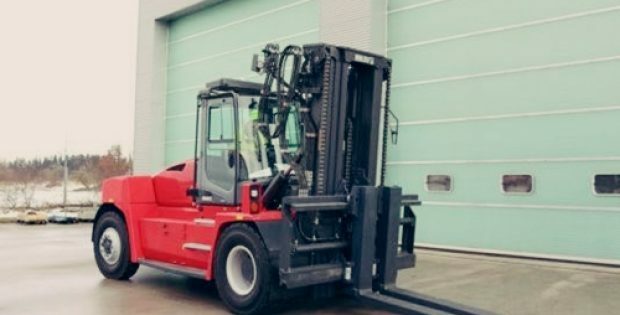 As per an official press release, Arto Keskinen, VP, Intelligent Service Solutions, Kalmar said that the company was delighted with the opportunity to further strengthen its relationship with VICT through the recent comprehensive maintenance and support agreement. He said that the agreement was a significant milestone that creates the groundwork for Kalmar to support VICT with optimizing and expanding its operations. This agreement is the result of the hard work and the collaborative, customer-focused approach of the Kalmar Australia team, he added. Reportedly, in March 2017, VICT launched its first vessel which, due to its unique location on the bay side of the port, offered faster turnaround time for exports and imports as well as easier berthing for ships. Anders Dømmestrup, CEO, VICT, said that the terminal, with Kalmar’s innovative equipment and technology and Navis’ industry-leading TOS, have reached an important point in its development, going from execution into optimization to attaining high standards in port efficiency and safety. He said that the integrated maintenance and support agreement will allow VICT to maximize the productivity, equipment efficiency and availability of its OneTerminal automated systems, ensuring that it provides their customers with world-class service.